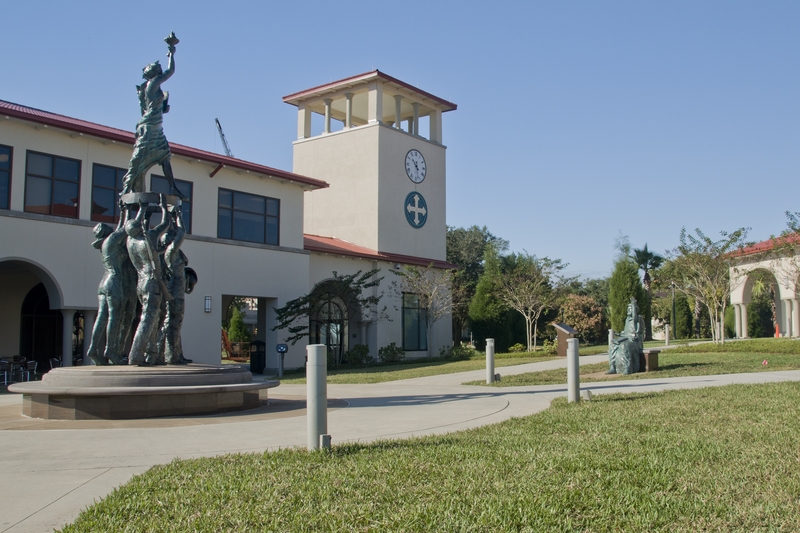 A new bronze sculpture honoring all five service branches was unveiled at St. Leo university. A new bronze statute featuring figures from the Air Force, Army, Navy, Marines and Coast Guard was dedicated on Veterans Day at St. Leo University. Sculptor Dexter Benedict welding during the sculpture installation. Titled For Those Who Serve, the sculpture was inspired by and commemorates military service members and the university’s committment to educating them. 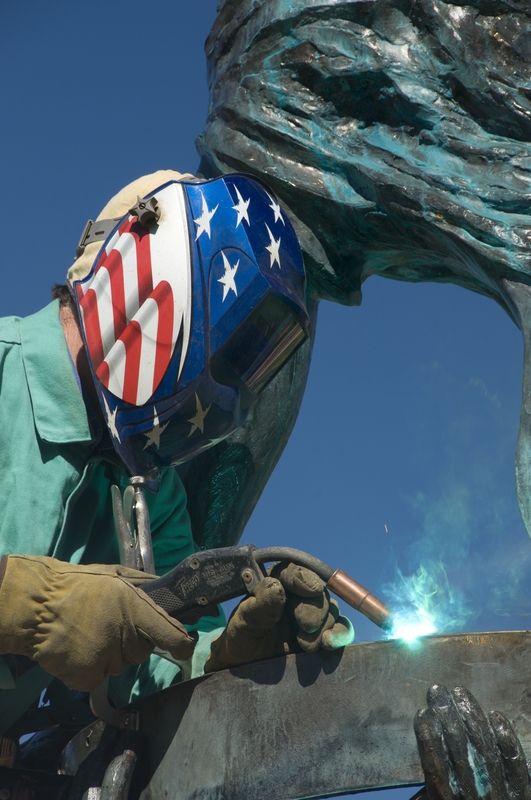 Artist Dexter Benedict helped install the sculpture that sits as a focal point on campus – halfway between the Student Activities Building and the Student Community Center on the main campus. For Those Who Serve is a sculpture of seven forged figures. Five represent each branch of the Arme Forces which are holding up a figure depicting Lady Liberty. The seventh figure represents the St. Leo faculty.